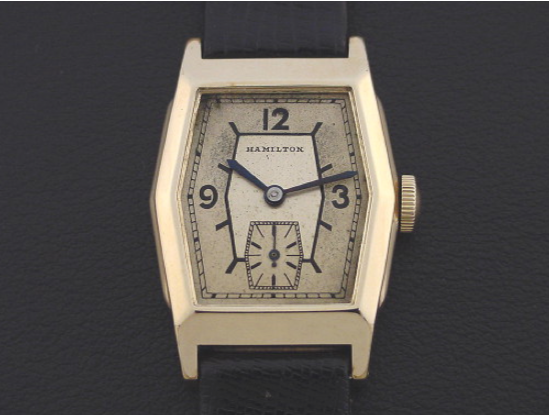 Did you ever wonder how many Hamilton models there are? I did too - as I wondered how long I can keep this blog going by showcasing unique models. Turns out there are over 1,000 so I'm about 25% of the way there. Of course, many of them I can't afford to buy and quite a few I will probably never even see for sale - like the Barbizon. But I still have a ways to go nonetheless. So here's another one to add to the "been there, done that" list. 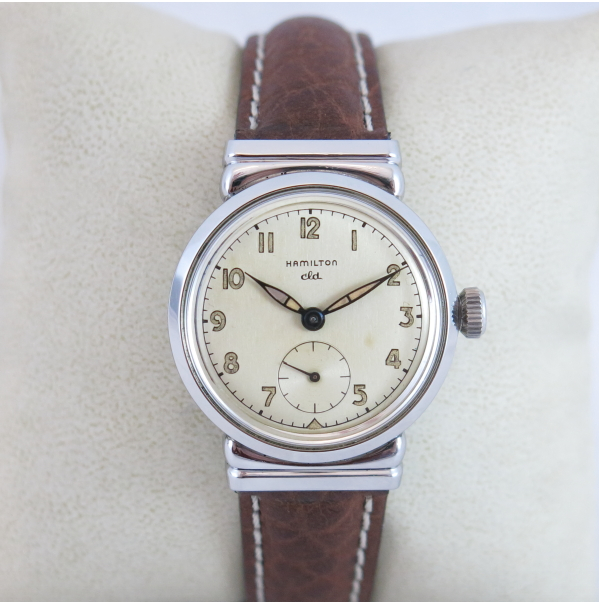 It's a 1956 Automatic K-404. It was only produced for one year. 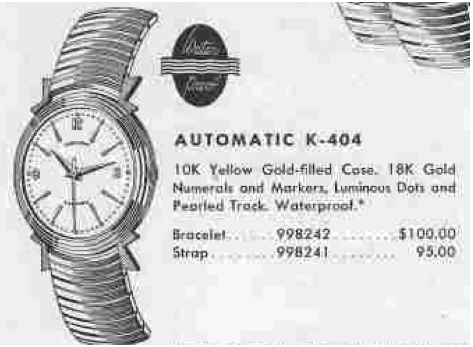 The K-404 comes in a 10K gold filled case. 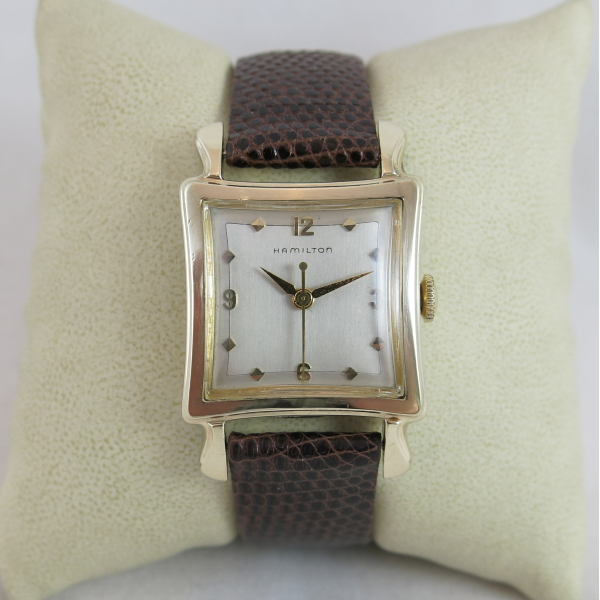 The sterling silver dial features solid 18K gold numerals and markers. The dauphine hands are luminous and there are luminous dots at the hour markers too. 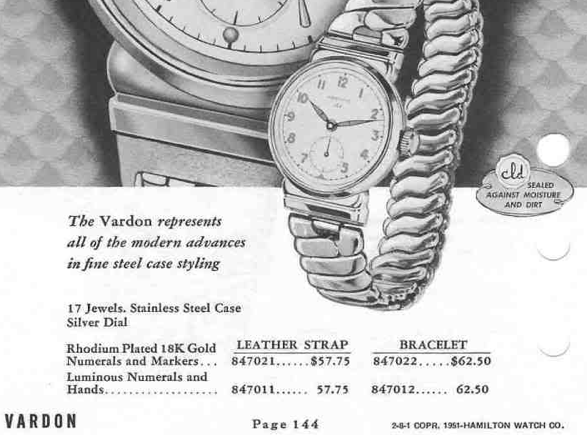 It's interesting to note the Hamilton catalog doesn't show that there's a 6 on the dial. In reality the K-404 has numbers at the 12, 3, 6 and 9 positions. I think this is the first error I've seen in the artistic renditions of the catalogs. 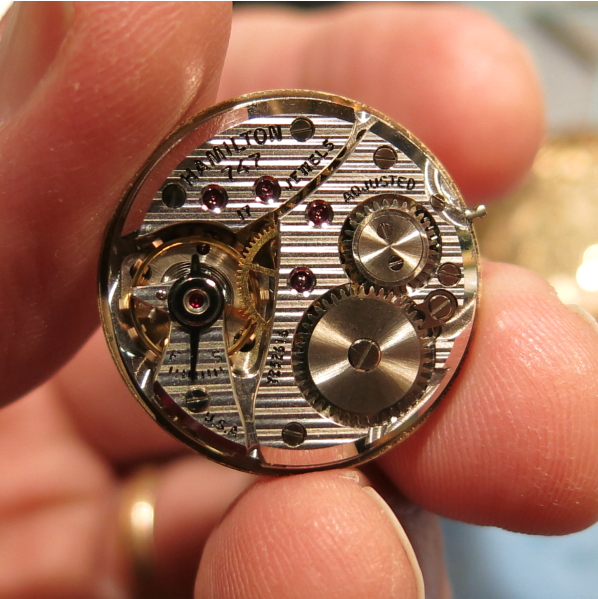 Behind the dial you will find a 17 jewel Hamilton 661 movement. 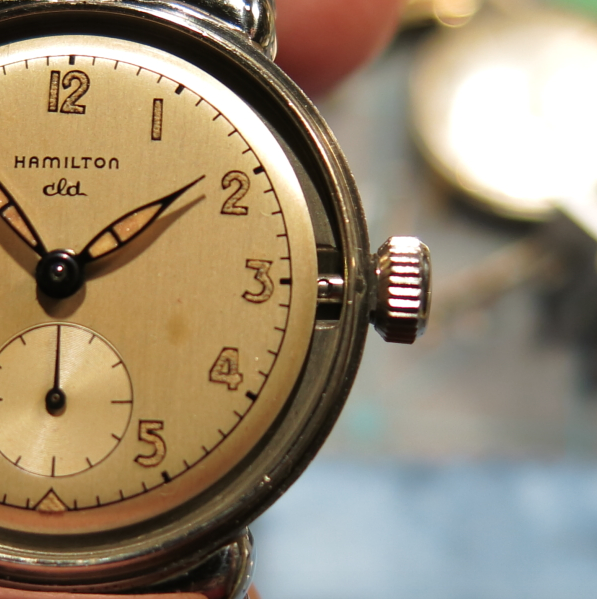 This Swiss-made automatic was a workhorse for Hamilton and the dominant movement in automatic models from the 1950's. 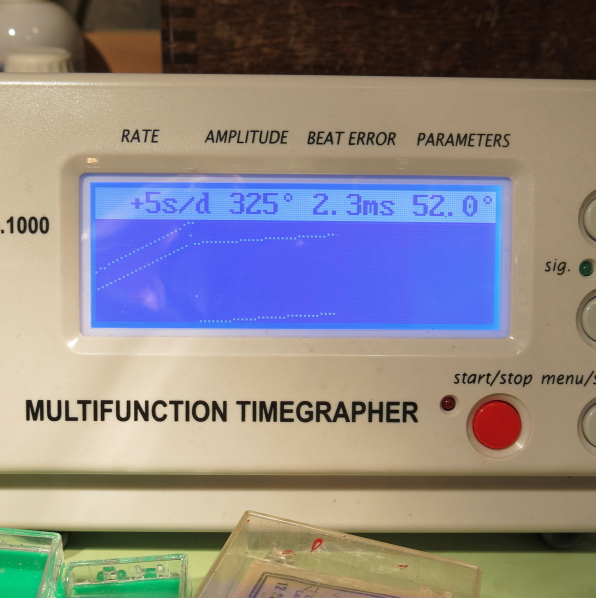 I recently purchased a K-404 off eBay. The listing pictures were terrible and it ended up being a lot rougher than I was expecting. I didn't pay that much for it but I still probably overpaid based on the condition of the case… as you'll see below. Apparently some moron damaged the case, most likely to test the gold content. 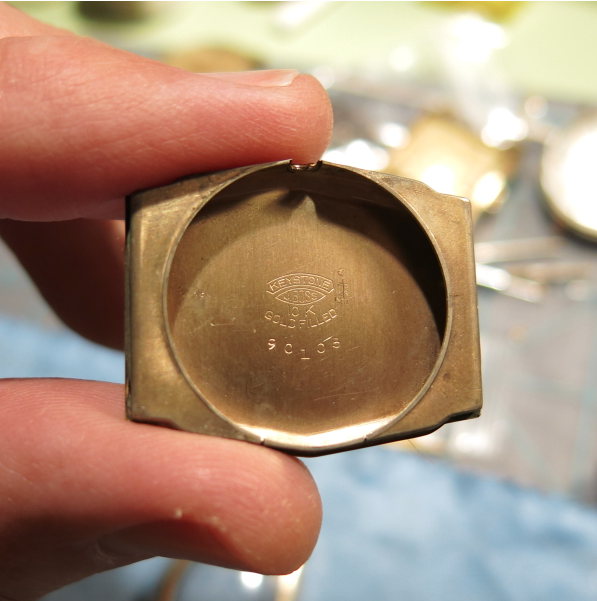 I hate when jewelers damage a piece to sample the gold. The inside of the case back clearly states the gold content (the outside says it too). The inside also tells you what model this is. That seems to occur about 50% of the time. In other words, sometimes the model name is in the case back and sometimes it isn't. 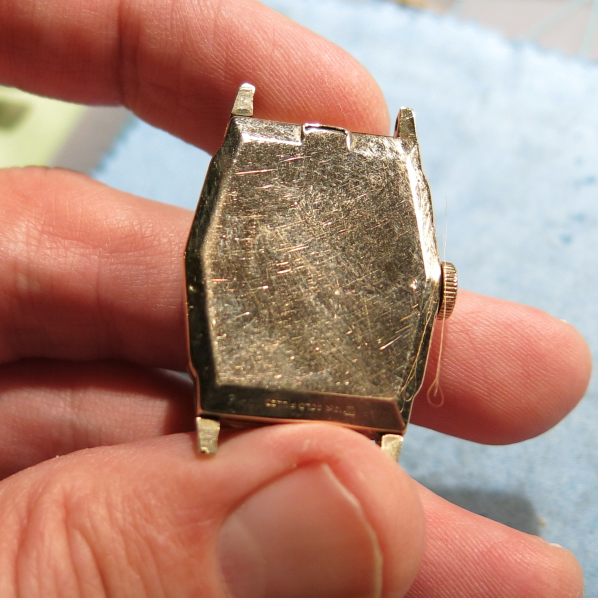 The acrylic crystal is very beat up and accounts for most of the watch's rough aesthetic appearance. Just changing that will make a big difference. After an overhaul of the movement, you can see below that this 661 is running great. And here's the finished product, all polished up with a new crystal and nice strap. I think I'll take the case to my local jeweler and see if they can fix the damage on the sides. Hopefully that won't be too difficult because otherwise this watch looks great. 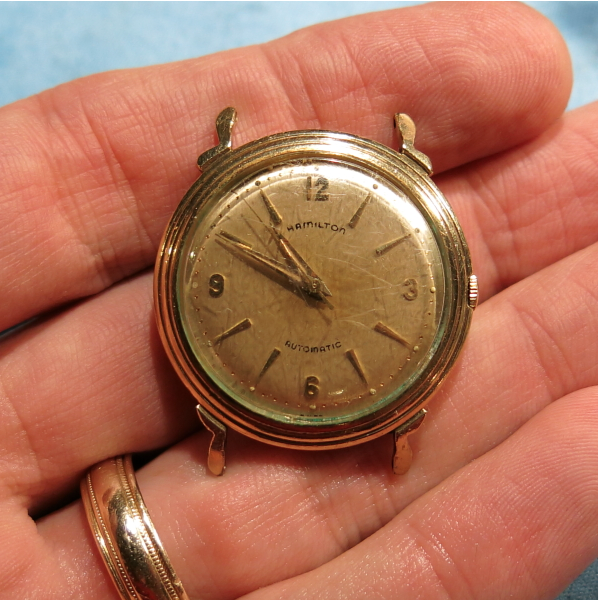 You can see above that the dial is showing a slight case of radium burn from the radium on the hands. 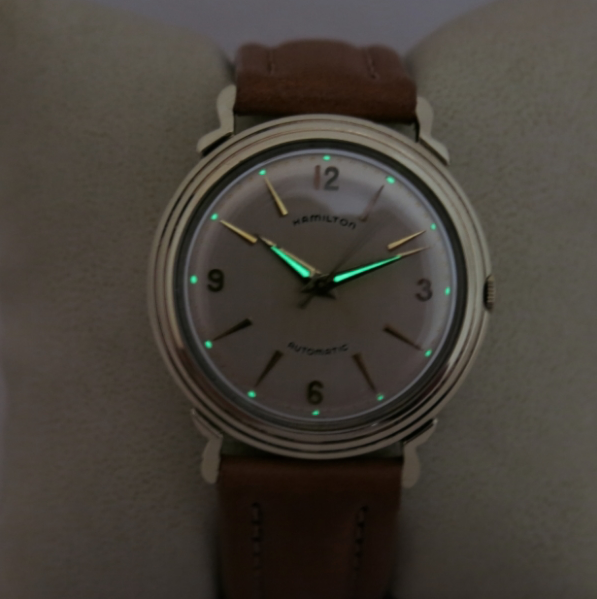 Since they no longer glow I removed the radium in my ultrasonic and then re-lumed the dial and hands with modern, non-radioactive, lume. I think this K-404 turned out really well. Originally I thought I might have to scrap it so I'm glad it could be saved. I started this blog a couple of years ago as an outlet for what has become a very passionate hobby. For me, it is just that - a hobby. 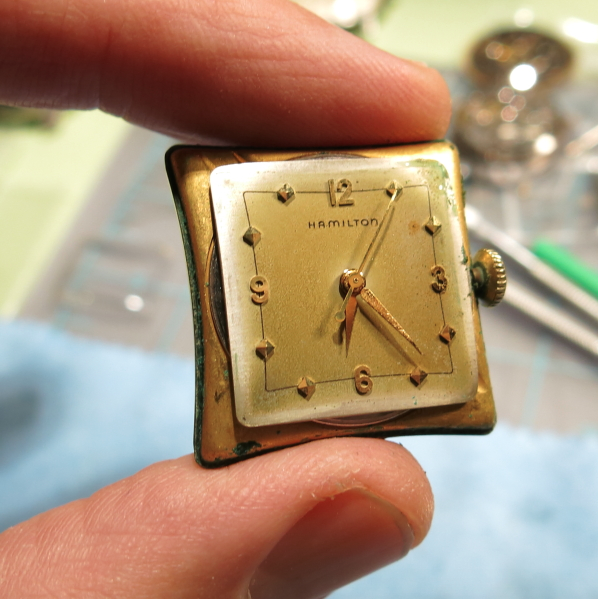 It's intensely rewarding to restore a watch to good timekeeping. It also can be extremely frustrating and unforgiving. It's sort of like golf - except I can do it in an hour and at night. 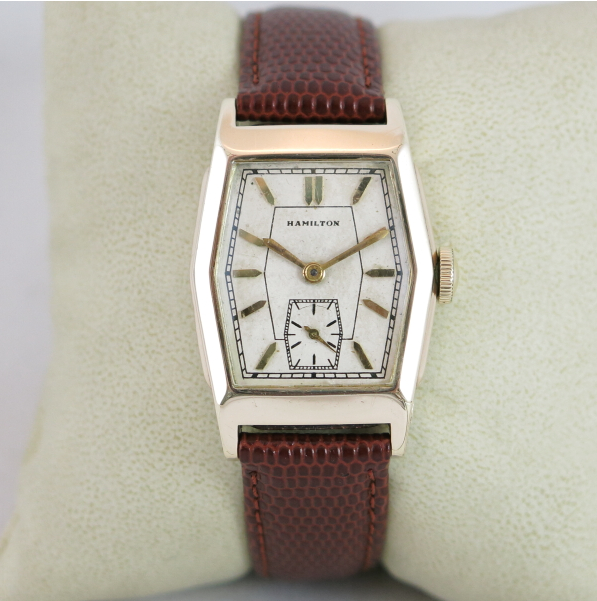 Like pretty much everyone, my interest in watches was piqued by inheriting some family pieces. 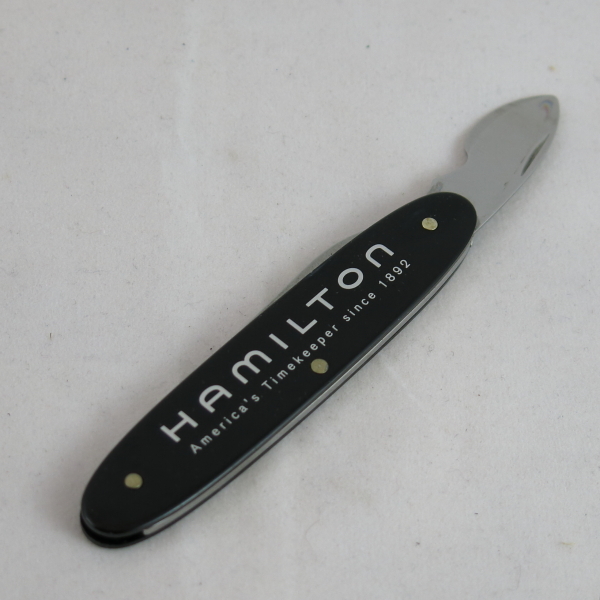 Some, like the Hamiltons, I was able to get repaired and working as they should. 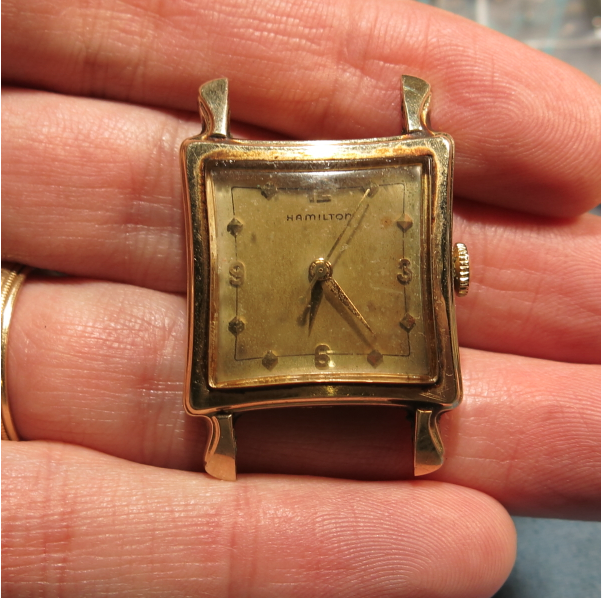 There were others that I could not get repaired because watchmakers didn't want to work on the more garden variety makes (like a 7 jewel New York Standard). I realized that if I was going to get my great grandfather's New York Standard working, I would have to do it myself. One of the barriers to collecting is the maintenance costs. 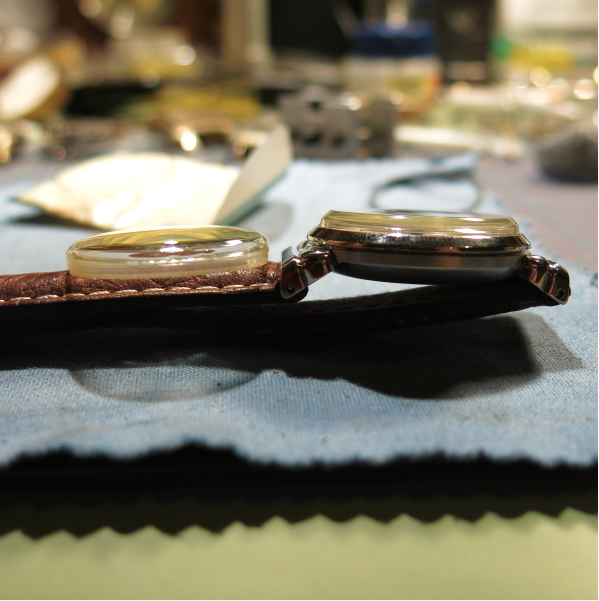 Every "new" vintage watch should be serviced before wearing, unless you buy it as serviced from someone you trust. Overhauls can easily add another $75 - $100 to each new acquisition and that can really add up fast. One of the fringe benefits of restoring Hamiltons is I have met a lot of very nice people along the way. I get asked frequently by new collectors about how to get started in doing their own work. This is not an easy "row to hoe", as they say, but with patience and dedication it can be learned. If you wanted to give it a try, here are the basic tools that you will need. As a general rule, buy quality tools. They are worth the slightly higher investment. First, you need to be able to see what you are doing. 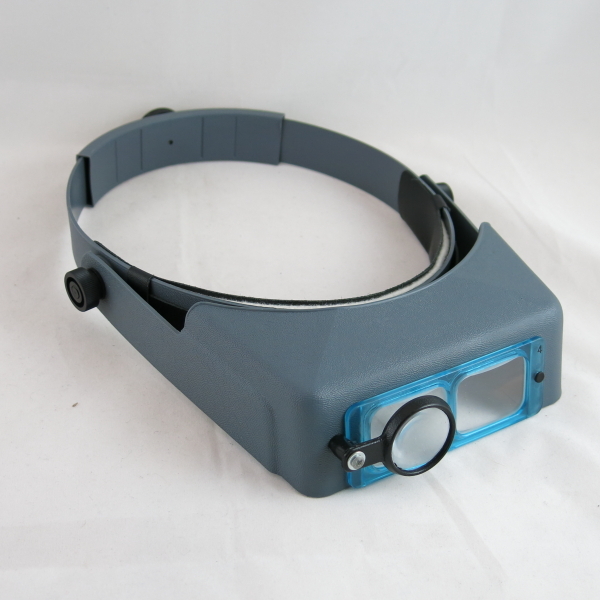 If your eyesight is perfect you might be able to get by with just an occasional loupe. For me, I like to wear a jeweler's visor with a flip down monocle for additional magnification when needed. 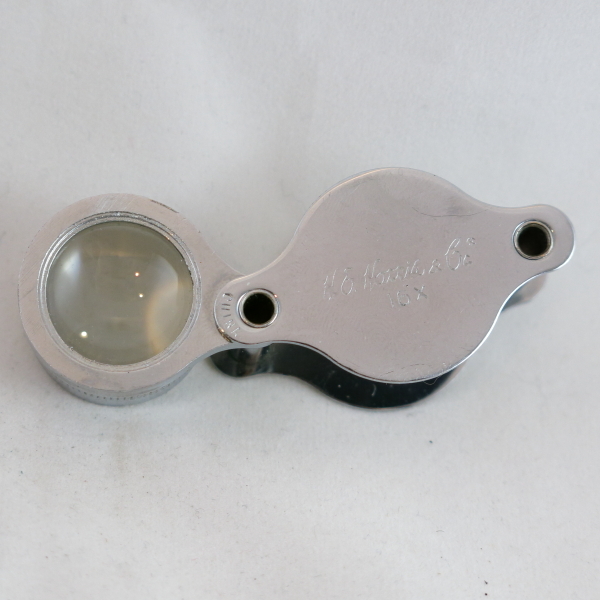 An additional 10X loupe is helpful for checking jewels for dirt or cracks. Next, you're going to need to get into the watch. That can usually be done with either a case knife, a case wrench or a crystal lifter. 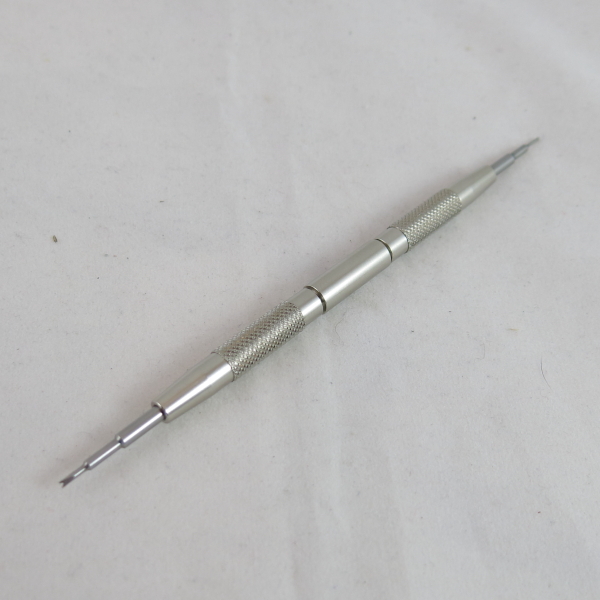 Now that you have access to the movement - the next tool you will need is a screwdriver. 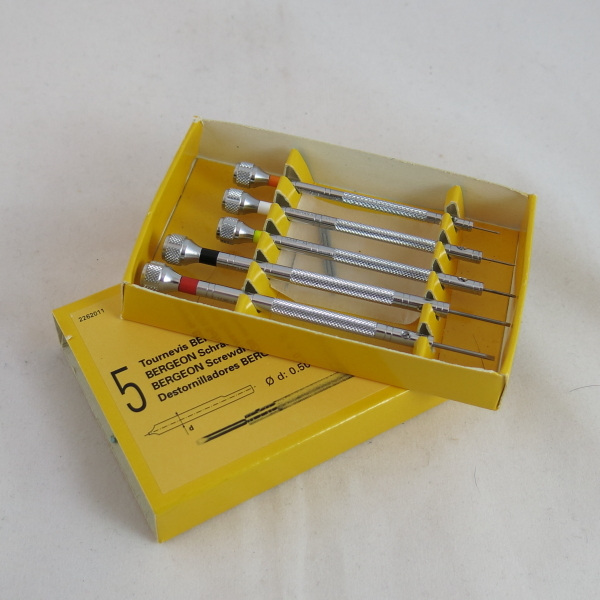 Screwdrivers come in various widths. 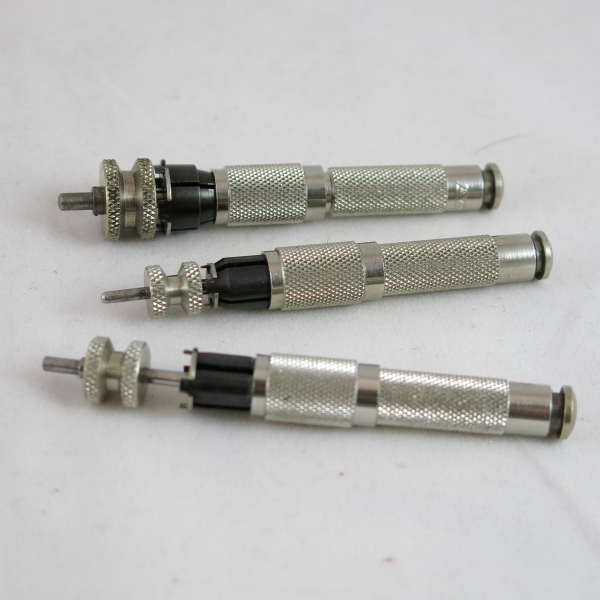 You should always match the width of the screwdriver to the width of the screw head. Fortunately you can purchase sets of the most common sizes. If you want to do pocket watches too - you'll want a 7 or more screwdriver set. 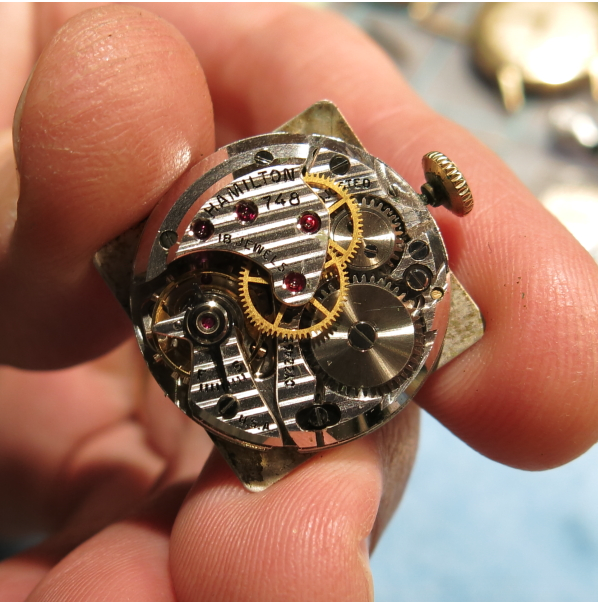 At this point you have all the tools necessary for getting to the dial-side of the movement. 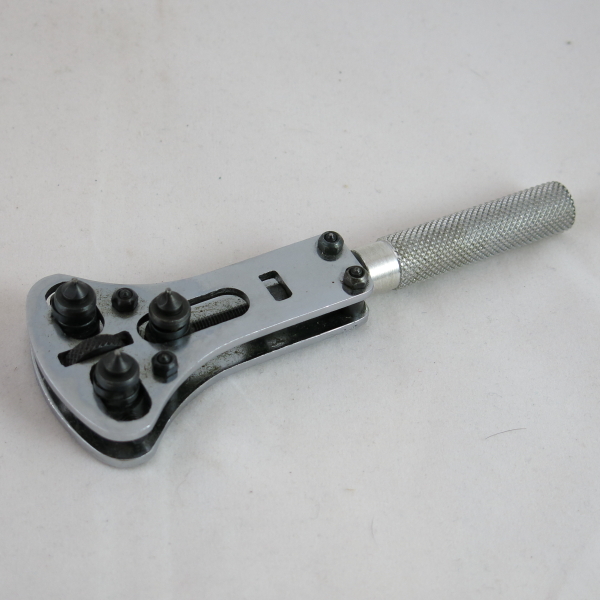 You'll want to pull the hands and dial so in addition to a screwdriver (for the dial foot screws) you'll need a hand puller. I like the Presto style. At this point you'll need to have a movement holder. You do not want to attempt this type of work without a quality holder. I like the Bergeon 4040, myself. 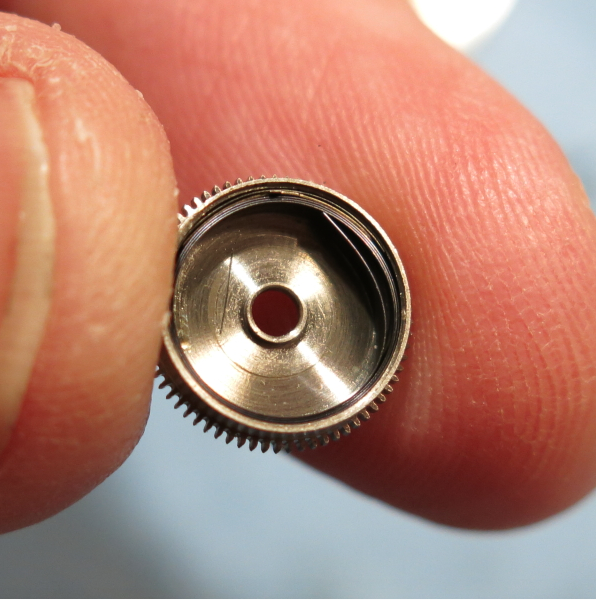 There's a smaller version (4039) for smaller watch movements like ladies grades. 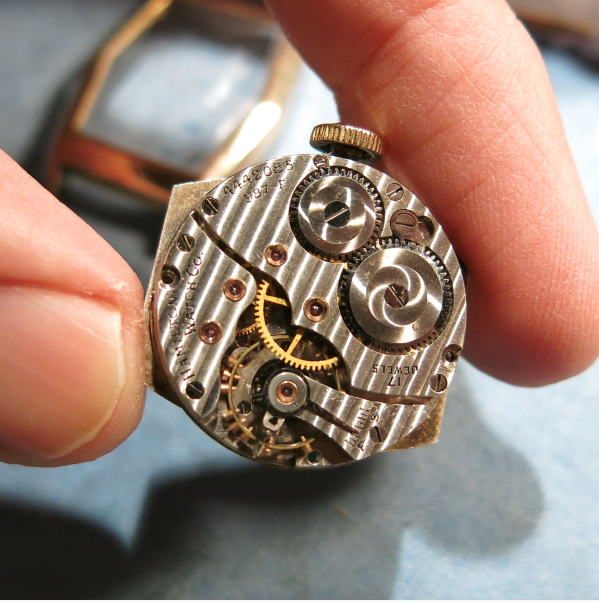 They're reversible too - so you can do up to size 16 size pocket watches in the 4040. At this point you have all the tools needed to completely disassemble a watch and to reassemble it once the parts have been cleaned. Cleaning the parts can be done in an ultrasonic jewelry cleaner of your choosing. The solutions you clean with is important too. There are lots of tricks of the trade but commercially available cleaners and rinses work best, in my opinion. I use L&R ultrasonic non-ammoniated watch cleaner and rinse. I also use "one-dip" for hairsprings and pallet forks. I have three baby food jars, one for cleaner and two for rinse. The parts go into the cleaner, then the first rinse jar and then the second rinse jar. Each jar goes into a water-bath in the ultrasonic for about 7 minutes. So it takes a good 20+ minutes to clean all the parts. Hairsprings and pallet forks don't go into the ultrasonic - you don't want to shake loose the jewels that are held in place with shellac. 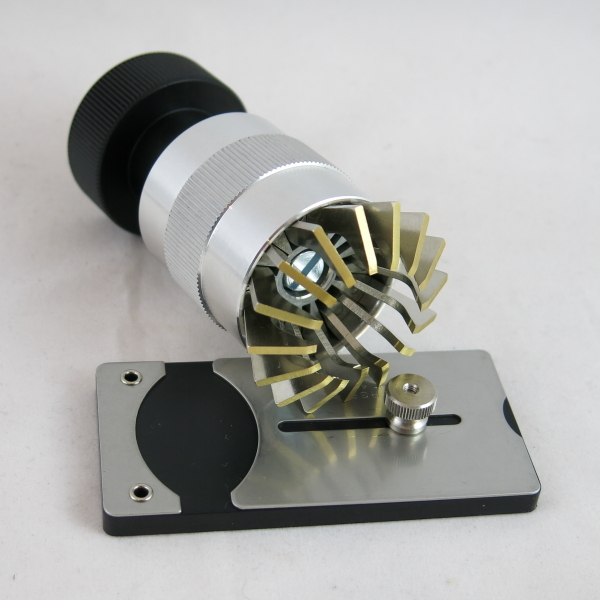 Depending on what else you have to do - you might need a mainspring winder to install a fresh mainspring in the barrel. It's possible to do it by hand but it's very challenging. A winder makes easy work of it. 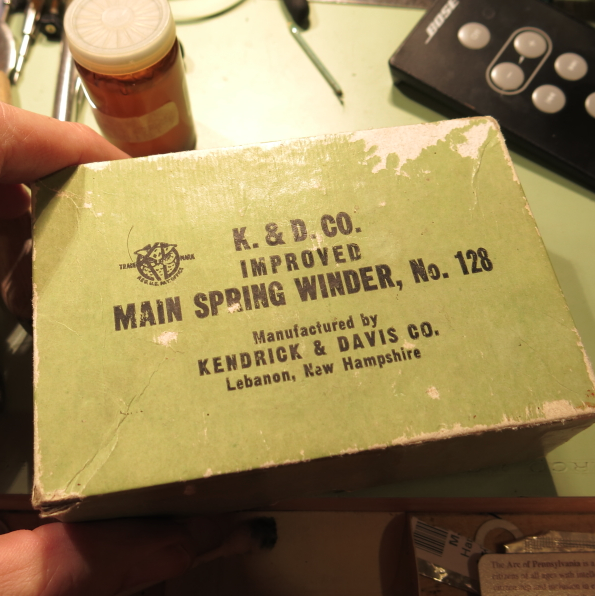 I like K&D style winders, myself. 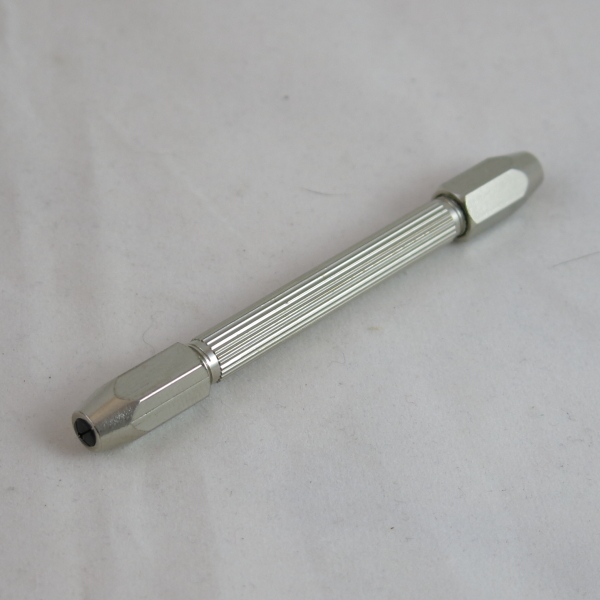 They come in different sizes and are adjustable for different size barrels. 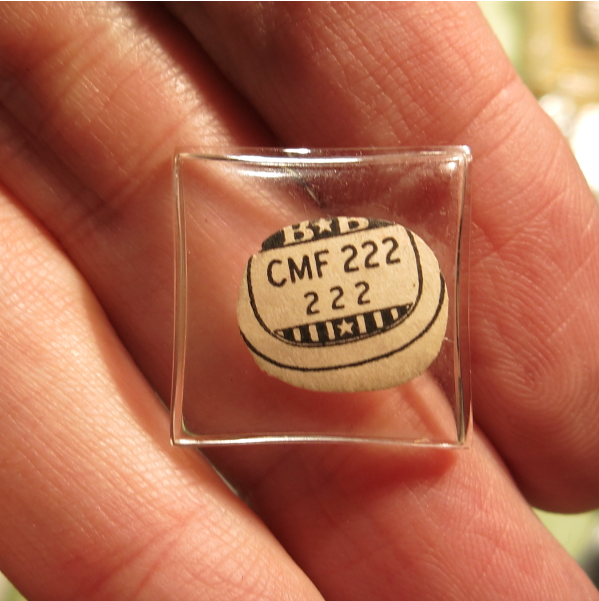 For pocket watches you will need a larger mainspring winder. I think the K&D 128 set does a nice job but there are others. 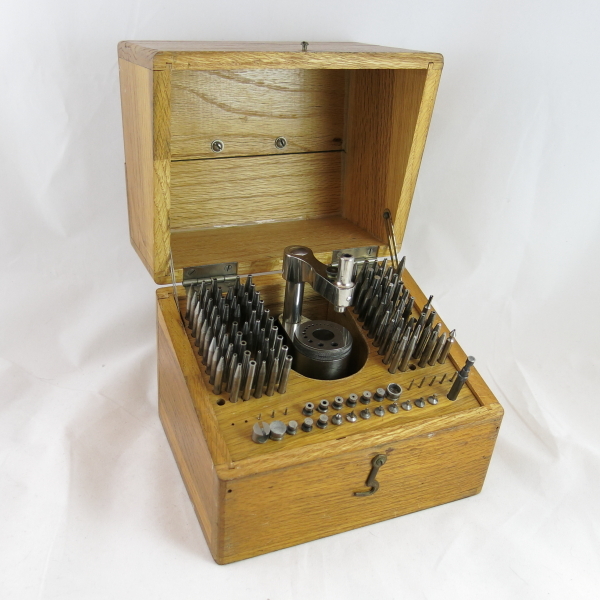 The set consists of several mandrels for winding springs for various barrel sizes. When it comes to pocket watch springs, they can really pack a wallop when they're wound so you need to be very careful when handling them. 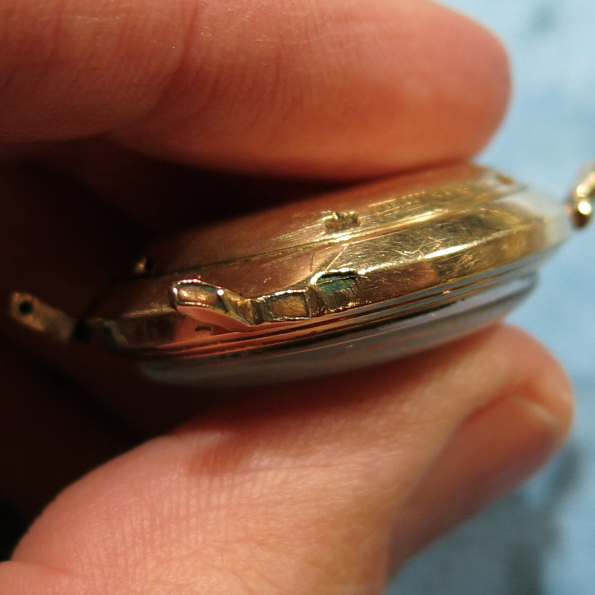 When you reassemble a watch, every jewel needs to be properly oiled. I use three types of lubricants in each watch I service. I use Moebius synthetic 9010 watch oil in all the jewels, Moebius 8200 mainspring grease, and finally I use KT-22 lubricant on the stem and keyless works. Modern watches could use other lubricants too - but since all the movements I work on predate modern lubricants, I just go with the basics. You'll need an oiler to apply a tiny droplet of oil to each jewel. Oilers come in different sizes and look like tiny spoons. Blue is what I typically use. Black is even finer and I use that on ladies watches. Changing out stems is best done with a pin vise. They allow you to grab the stem and screw it into, or out of, the crown. 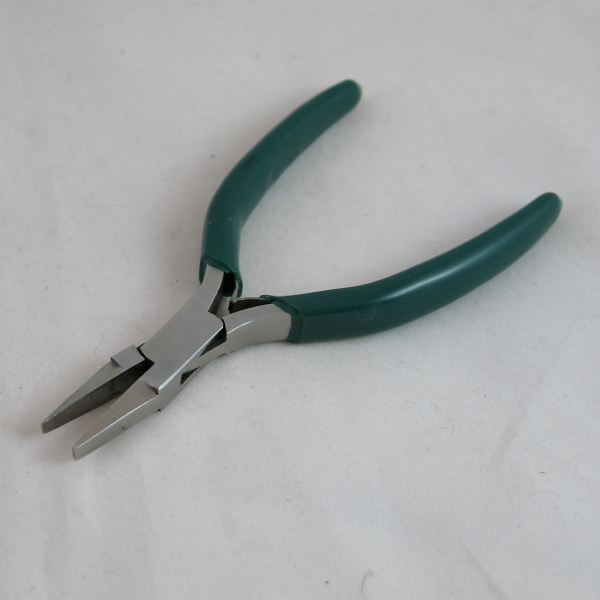 You can also use some flat jawed pliers. 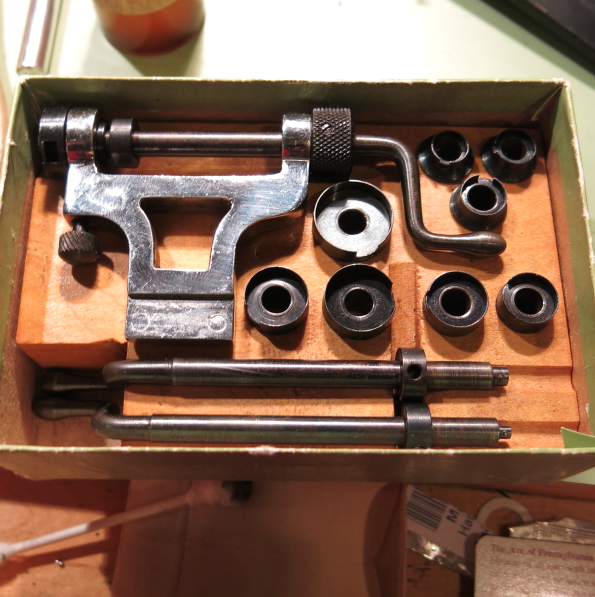 By now you've got all the basic tools needed to overhaul a watch. If the watch has a problem, then you might be outgunned. 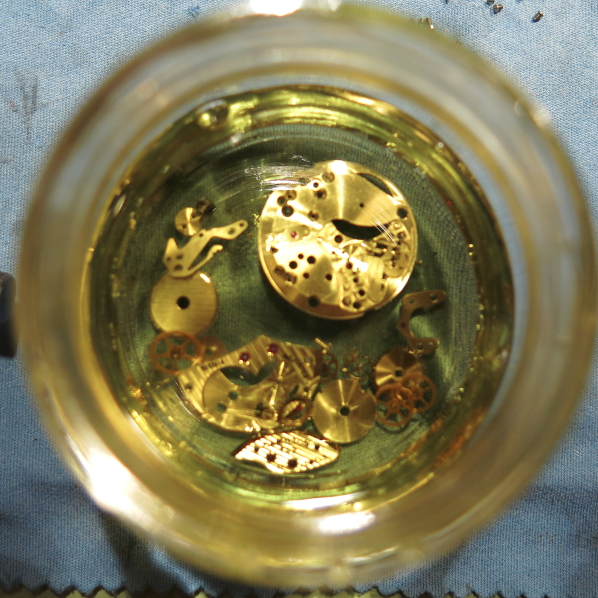 Things like "polishing pivots" and hairspring work require skills beyond the basic hobbyist. Assuming the watch is running once you're finished with it, you'll want to make sure the watch keeps accurate time. 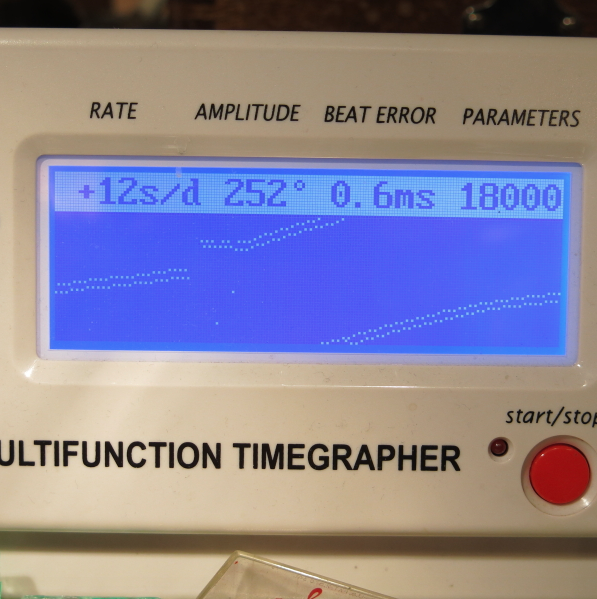 There's really only one way to do that - and that's to use a watch timer. They're pretty expensive but basic ones can be had for a couple hundred bucks. You can try using the stop watch on your phone - but truly accurate measurement requires a timer. With the watch regulated, you still have to put the dial and hands back. The dial just slips right over the cannon pinion and hour wheel. 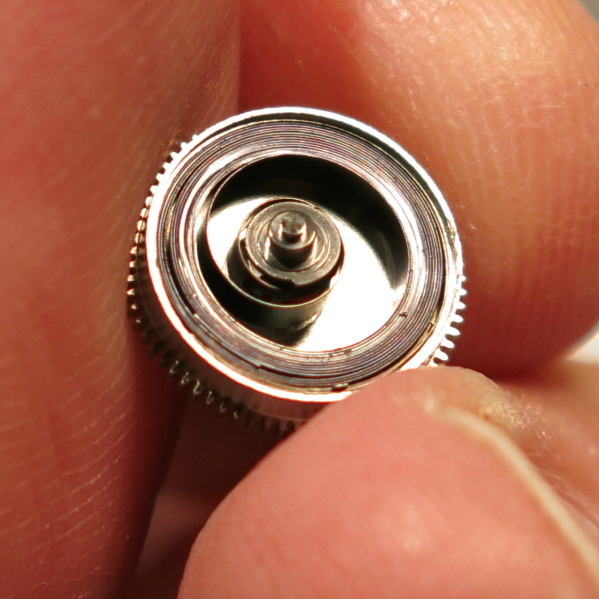 You tighten the dial foot screws and then place the hour hand on the hour wheel with tweezers. 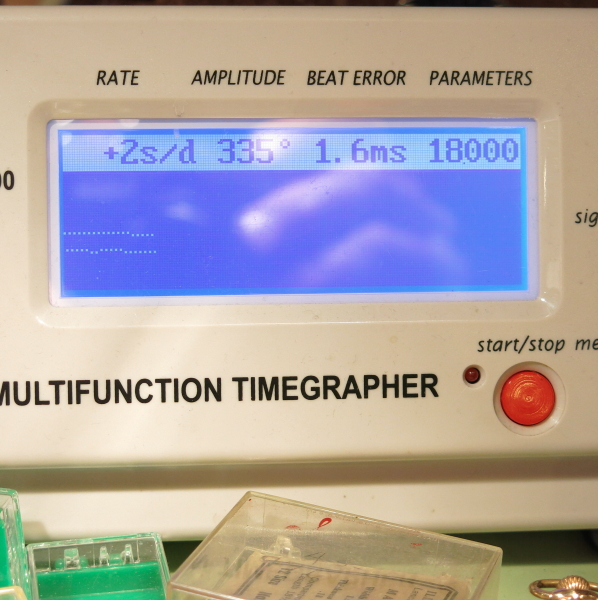 The minute hand goes on top and you can press the minute hand down with a hand pusher. You might be able to get by with a flat No.2 pencil eraser. Everything goes back in the case and the case gets properly buttoned up. All you need now is to put on a new strap. 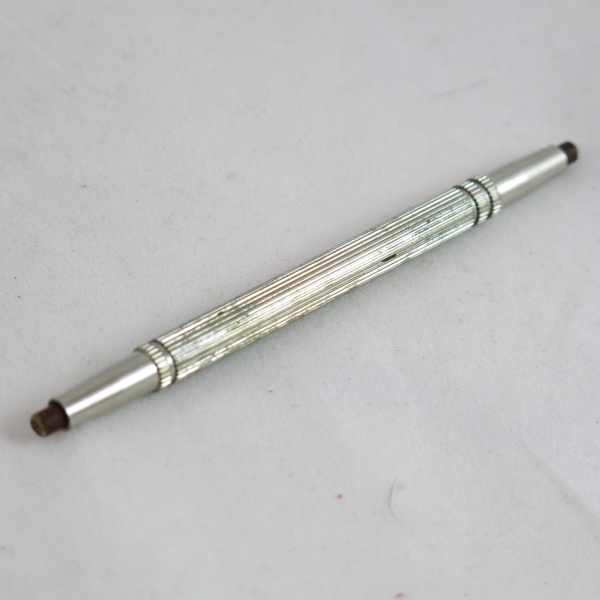 You'll want a quality spring bar tool for this finishing touch. A fine spring bar tool is immensely helpful when there isn't a lot of clearance. Of course, the first few times you do this I can pretty much guarantee that you're going to break something like a balance staff, or an escape wheel pivot. It's best to practice with one movement, over and over, until you know exactly where everything goes and how to install it. 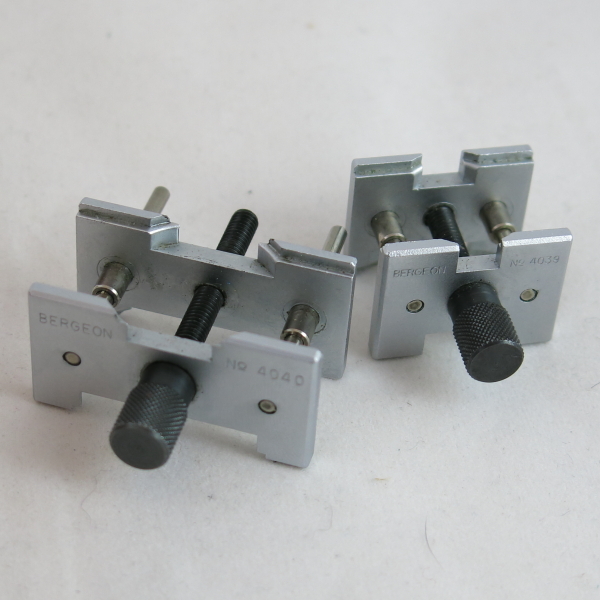 Parts movements will eventually equip you with the spare parts you need to replace the things you break or lose. Eventually you'll have so many broken balances laying around that you'll be tempted to learn how to replace them. That's going to require a staking set. 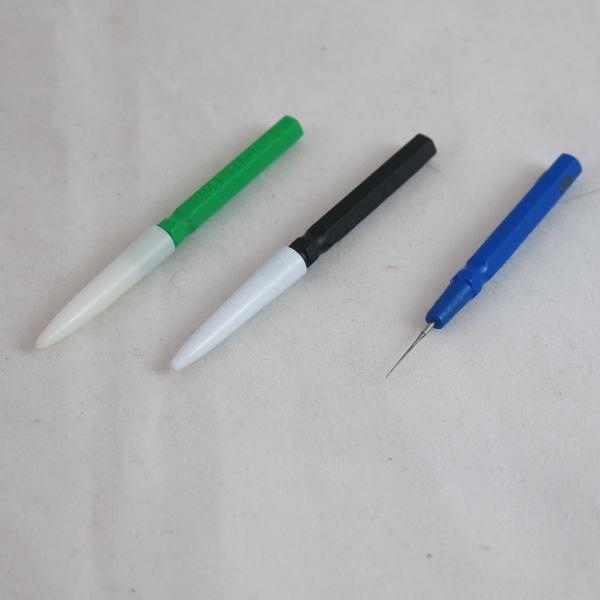 In fact, a lot of basic operations require staking tools to various ilk. 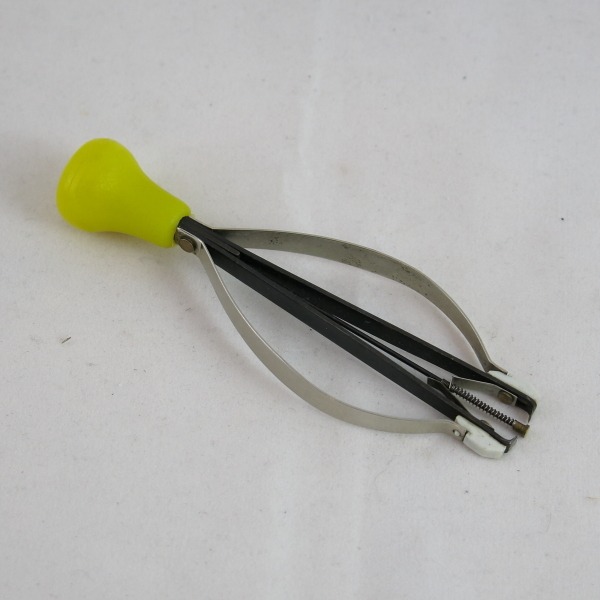 For example, hands can be tightened or loosened using a staking set. Cannon pinions can be tightened on a staking set. 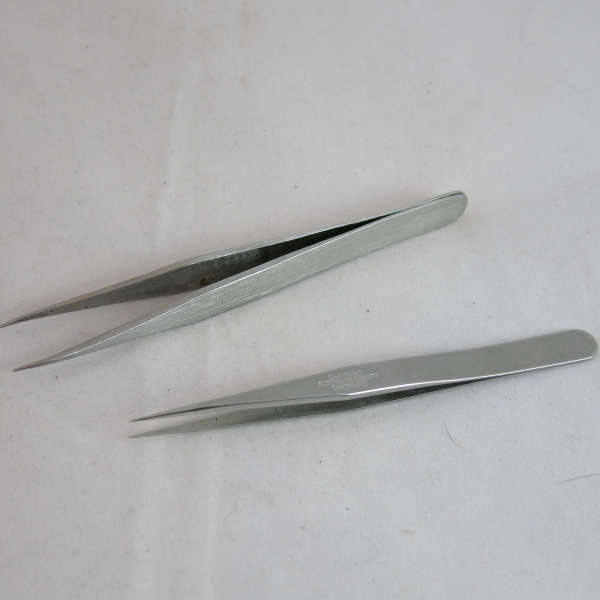 Jewels can be removed and replaced with staking tools. After reading all of the above - if you're still crazy enough to want to get into this hobby then you should start with this basic investment and refer to it a LOT. 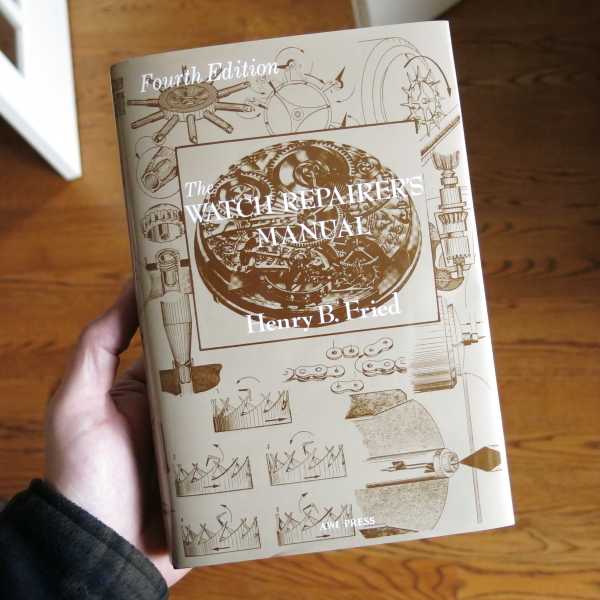 The Watch Repairers Manual was written a long time ago but since these watches were made back then, you'll find the book to be a great reference. Don't be surprised if you are overwhelmed by the complexity of some things. Once you develop some confidence you can take more in. One of the most important things to understand is that there are a lot of very talented professional watchmakers out there. They've gone to trade schools, studied under other master watchmakers, and have expensive equipment to tackle the most challenging of tasks. 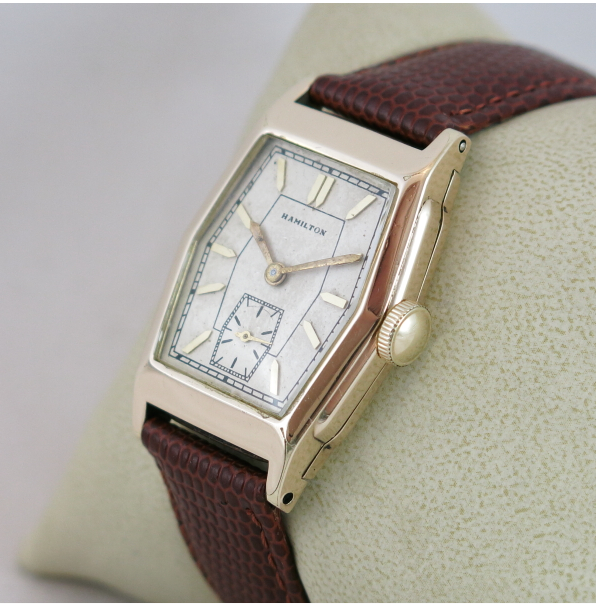 It's a good idea to seek out the watchmakers in your area and develop a rapport with them. They're professionals and skilled at their craft. Therefore, most will not be interested in fixing projects that you have screwed up. However if you respect that this is how they make their living (and it's not easy work), they will hopefully encourage your continued development. 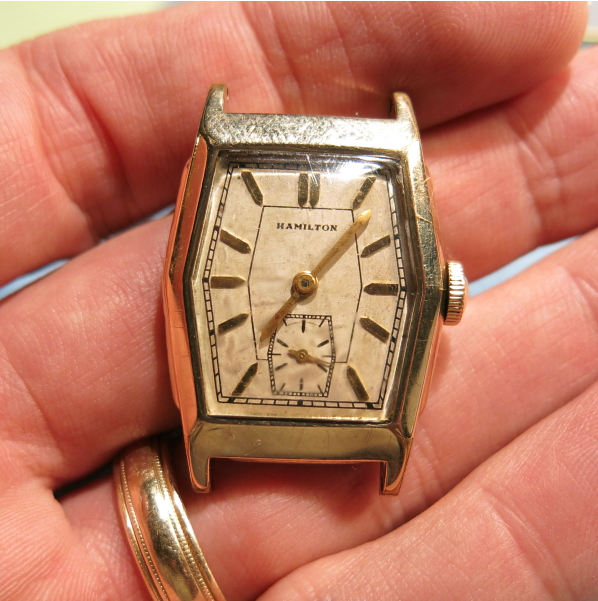 It's funny how some watches are abundantly found and some are very hard to come by. 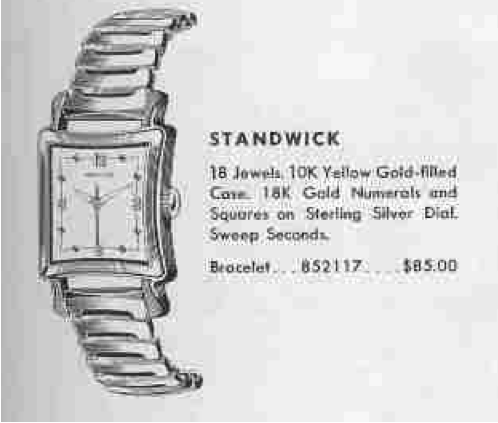 Obviously popularity at the time of release and the number of years a watch was produced are major factors. And, of course, there are a number of situations where very few examples were made to begin with. I think another important factor is the quality of the case - I bet a lot of nice watches have been lost to time by wearing out the case. Take for example the 1935 Turner. It was produced for two years. There were over 6,100 yellow gold filled models and only 420 white examples, according to Rene Rondeau's great reference book. I can understand not seeing any white Turners - but yellow ones are pretty darned scarce too. 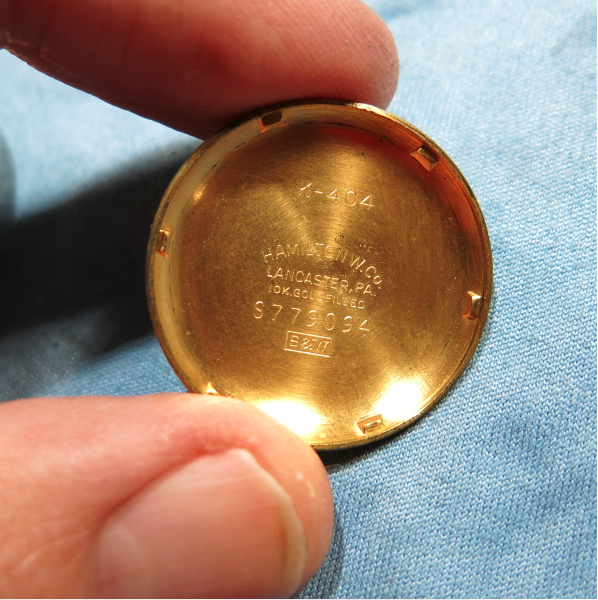 The Turner came in a 10K gold filled case - and one of the interesting things about the case is it doesn't say Hamilton inside it. It's made by Keystone and is marked 10K gold filled. If you didn't know better, you might suspect that it's a jobber case but it's not. Turners are notoriously prone to wear through on the high points - so I think that's one reason they are hard to come by - I bet a lot of cases were worn through and discarded. 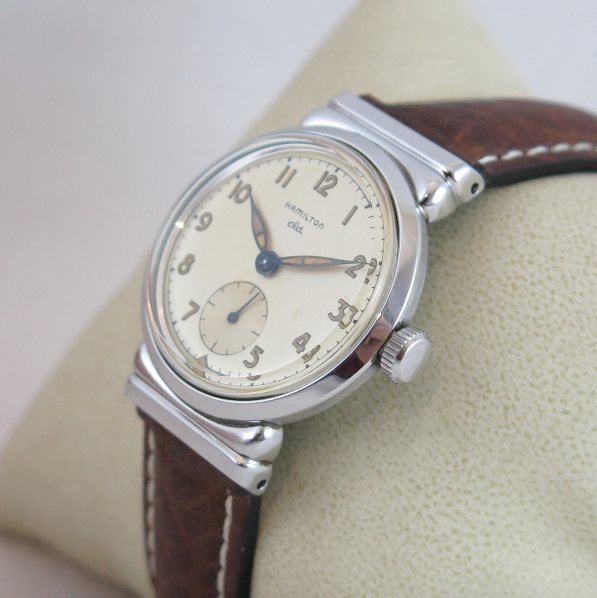 Being produced in 1935 and 1936, you're just as likely to find a 17 jewel 987F as you are to find a 987E under the dial. 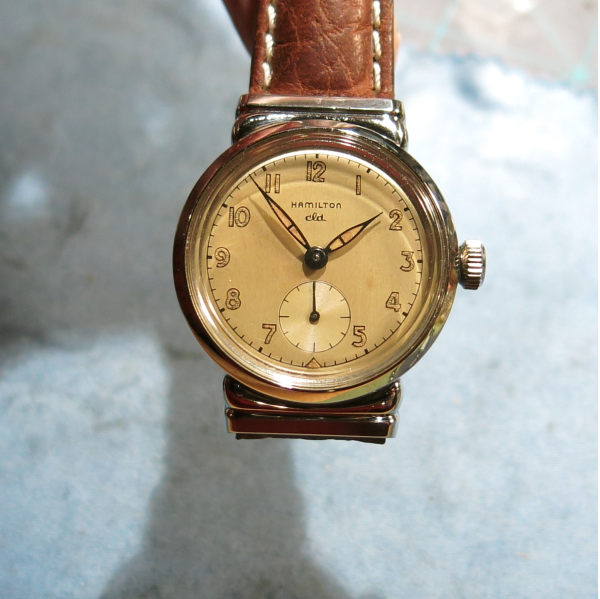 Three dials were available… an applied gold marker dial, a black enamel numeral dial (1936), and a combination black marker / numeral dial (1935). The latter is especially interesting since it's quite unusual. 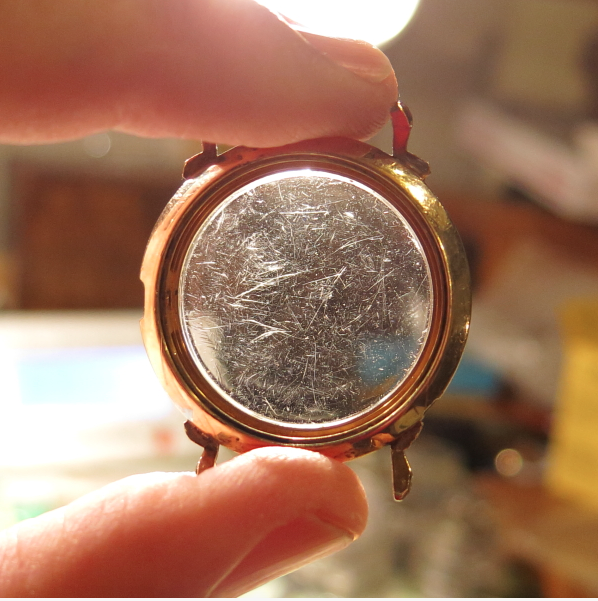 As received, the watch had the usual dirt and grime one expects to see on an 80 year old watch. 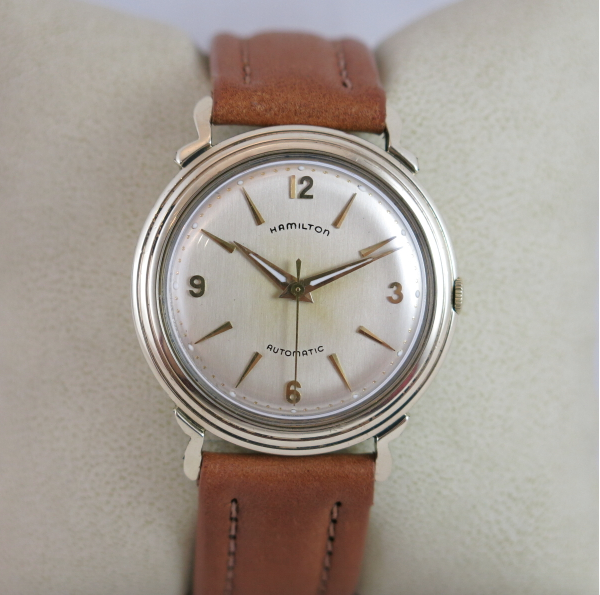 The crystal was plenty scratched, but the bezel was largely wear-free. The case back has some wear to the opening lip and a minor dent on the left side but is otherwise tight. The bezel and the back needed a little tweaking to get the two to close tightly but I was able to correct that without much difficulty. 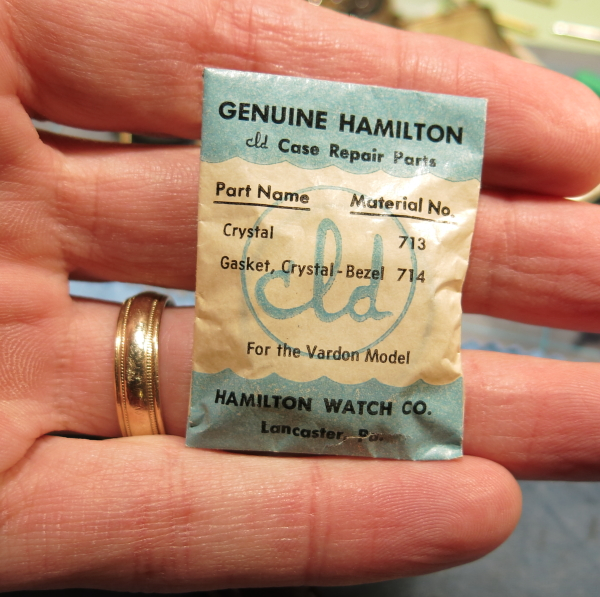 Here's the inside of the case back… no "Hamilton Watch Company" in here. Most jobber cases have rolled gold plate or even stainless steel case backs - so that's another good sign the case is correct for a Turner. Here's the 17 jewel 987F. The serial number dates it to 1935, just as it should. It's pretty dirty but it runs - so that's a good sign that just an overhaul will be needed to restore it to good health. 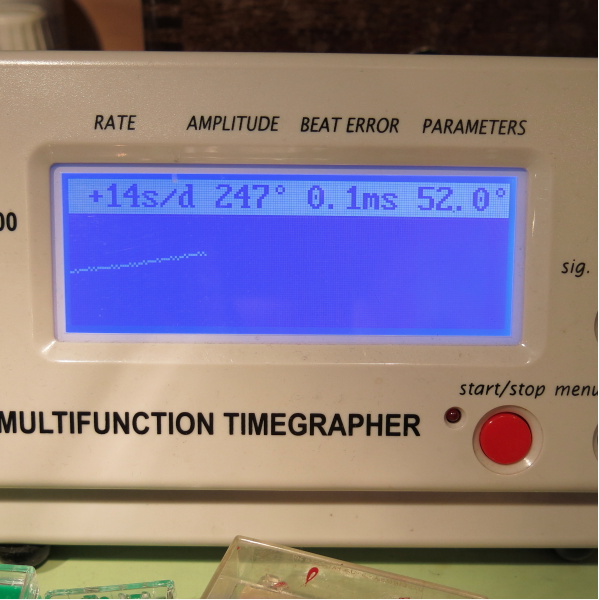 The usual thorough-cleaning and a fresh white alloy mainspring result in vigorous amplitude and almost spot-on time keeping right out of the chute. No tweaking needed for this watch. And here is it all spiffed up with a fresh glass crystal and new brown lizard strap. This style of hands is called "baton" and are the correct style for Turners. My camera always surprises me by pointing out every flaw but other than a little wear to the lower right lug, this bezel looks fantastic!